The Grace Outreach Media Store is updated weekly with new books, DVDs, CDs and MP3 downloads. Be sure to check back for new items, or simply join our mailing list to gain access to the latest releases as soon as they hit the shelves! One of the most beautiful, yet complex gifts the Lord has bestowed upon us is our free will. Everyone has a God ordained "place" - a specific grace that enables us to successfully inhabit a "place" in His Divine well. 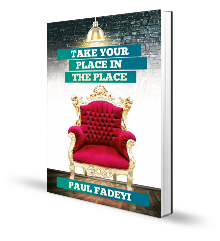 This book will help you Take Your Place in the Place of God's purpose for your life. The last century witnessed an over abundance of feats achieved by man. It goes without saying that there is a power behind all these creative powers, an unseen hand behind invention and inventors — This is the hand of God. God is ready to perform great wonders that will confound popular opinion. 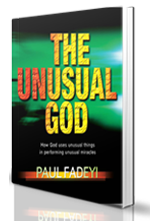 Supernatural miracles in natural circumstances are being unleashed on the earth today. Get ready. It's time for the unusual! 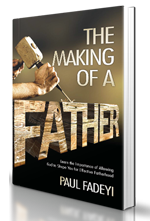 Founded on God's Inspiration, this book will open your eyes to His plans for fathers to be made. Page by page you will be taken on a journey along God's production line that purposefully converts 'raw males' into fatherhood. 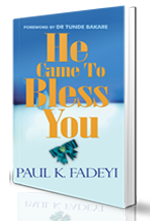 This book helps you identify where you are and provides guides on how to re-position yourself again to partake in the heaven's best for mankind. If you are kindgom minded and do not want to be short-changed in the resources of heaven for your life, this is a must read. 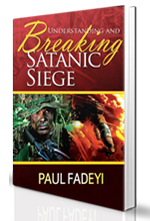 While many Christians recognise satanic siege, not many know how to break it. The devil is employing new and far more complex ways to siege innocent lives without the victims realising. This book unmasks these cunning and complex ways. Page by page, you will see scriptural ways and tools of stopping every satanic siege. Thank you for your interest in our inspirational messages. If you have been blessed by any of our messages and would like to make a donation, please use the button below. God bless you as you do so!